This antique Victorian era girls Art Nouveau floral print cotton empire waist Regency style dress dates from 1900. 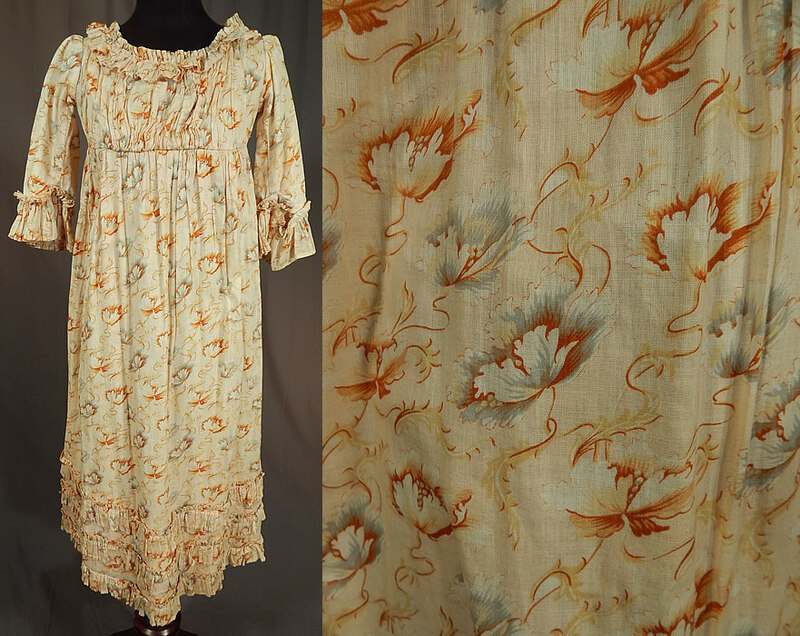 It is made of an off white cream color cotton fabric, with a yellow, brown and blue print Art Nouveau style flower design. 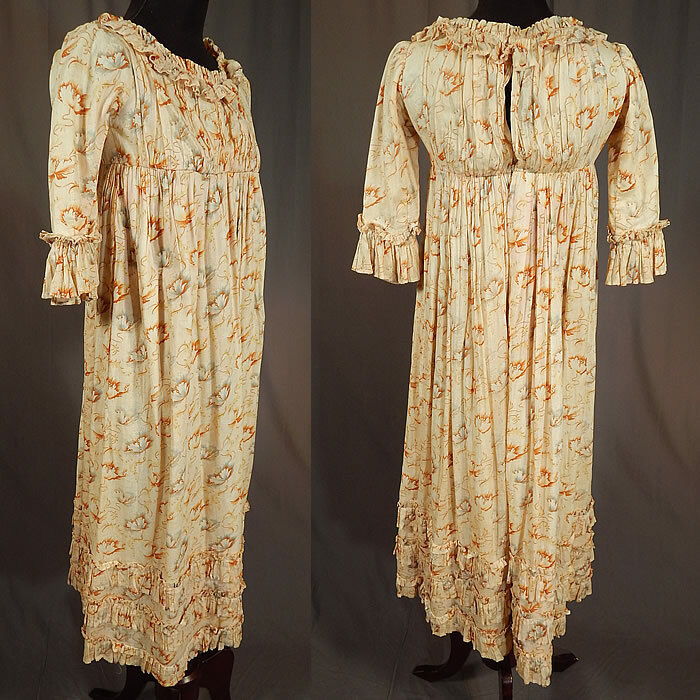 This young ladies Jane Austen Regency inspired dress has an empire silhouette fitted under the bust and falling loosely below, matching fabric ruched ruffle trim edging the neckline, sleeve cuffs and bottom skirt hemline, with hook closures on the back top and is lined in a cotton muslin fabric. 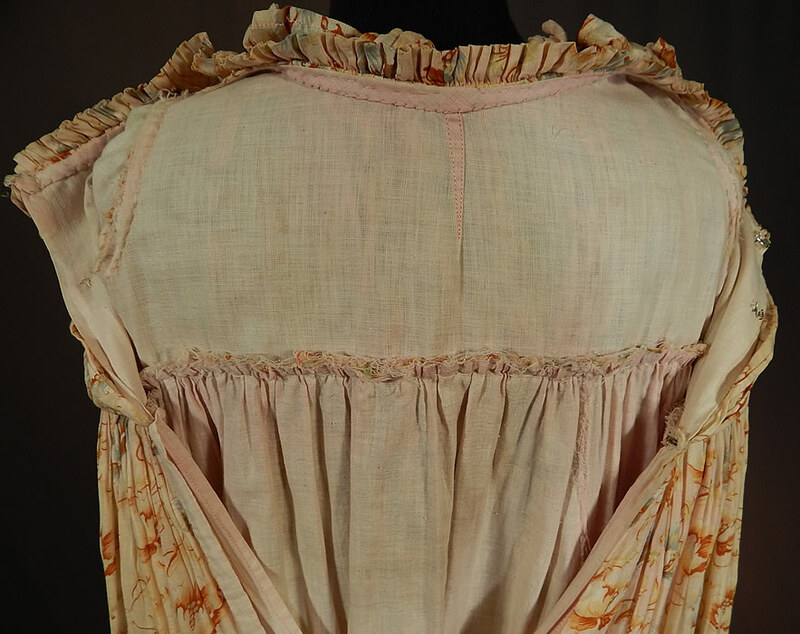 The dress measures 40 inches long, with a 28 inch chest, 38 inch waist and 11 inch back. 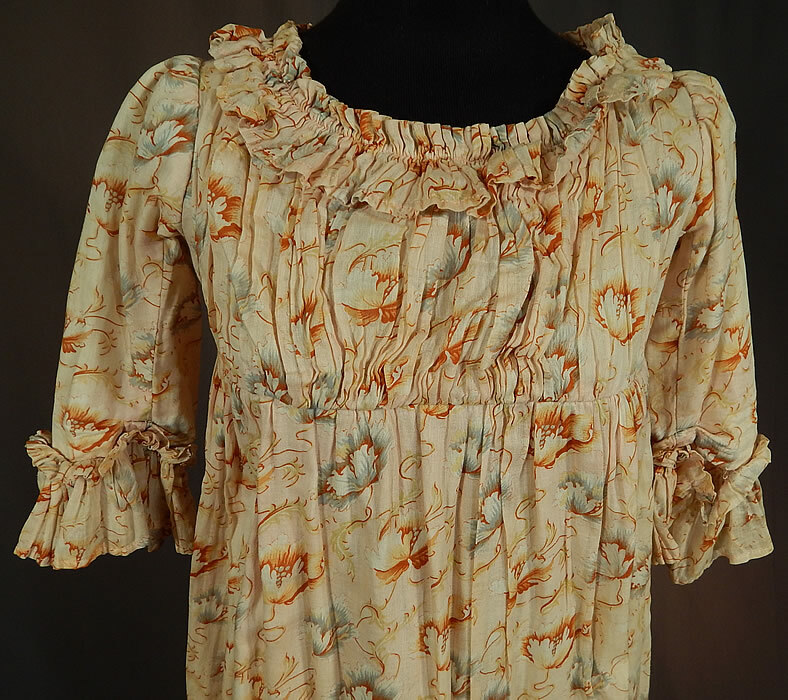 It is in good condition, with only some loose ruffle trim edging along the neckline. 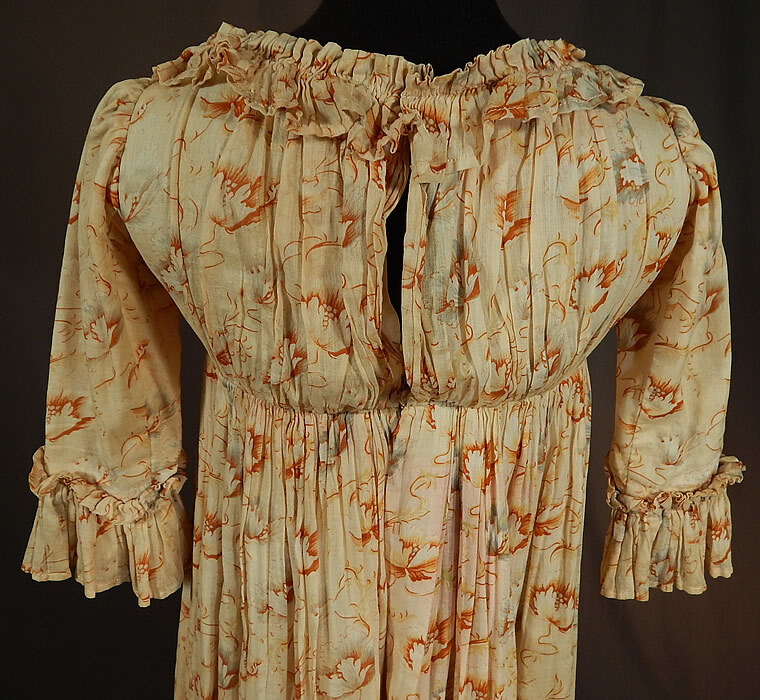 This is truly a wonderful piece of antique Victoriana, Regency style wearable art!